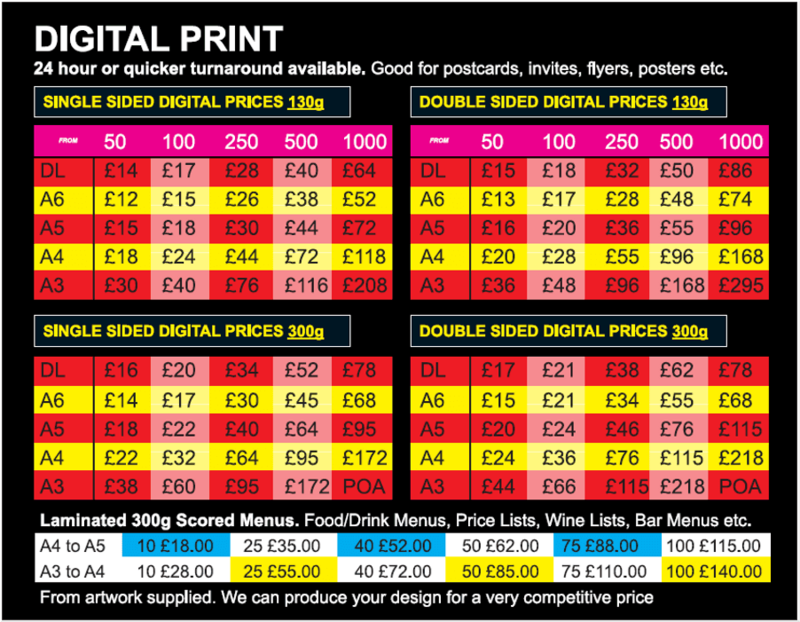 If you need your menus, price lists etc. printed quickly, pop and speak to our friendly team who will be happy to fast-track your order. Choose from a variety of printed options including laminated 300g scored menus. Let us turn your designs into the finished product quickly and with the minimum of fuss. Pop in the shop or give us a call for a no obligation quotation.